﻿ Advanced Pools, Inc. in Harrington DE - In Ground, Above Ground Swimming pools for Maryland Delaware and Virginia - Commercial and Residential Pools for DelMarVa! A backyard pool can be one of the best investments a family ever makes, but owning a pool is more than just an investment, it's a lifestyle. As our society continues to change, one thing remains the same - family is the foundation of our daily lives. Unfortunately hectic work schedules and busy family routines make it increasingly difficult to coordinate lengthy family trips. Combine this with the hassles and hazards that are associated with long-distance travel and you have a perfect reason to create a paradise in your backyard that you can escape to anytime you want. Once you've decided to incorporate a swimming pool into your backyard décor, choose a manufacturer that demonstrates quality products along with expert customer care. We carry the WORLDS leader in composite pool manufacturing with pools built with Australian style and the satisfaction of being made in the U.S.A. There is just something about water that naturally sooths the mind, body and soul. Whether you're reclining pool-side reading a book, soaking up the rays on a floating lounge, or taking a cool dip on a hot summer day, a pool provides a lifetime of private get-a-way's.right in your own backyard. Since the sun reflects the water, naturally giving it a blue look, changing the surface color of the pool affects how the water appears. Our custom Crystal Palace finishes make the water sparkle and shine. 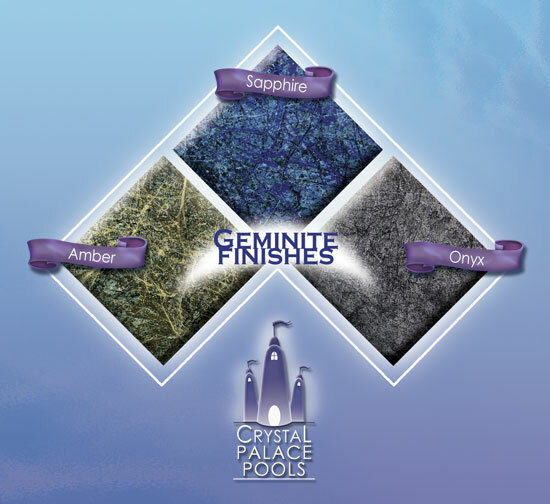 Choose from our Geminite finishes; available in Sapphire, Amber, or Onyx for a more spectacular effect. Or if subtlety is your choice try our standard gel-coat finishes available in Pearl or Topaz. 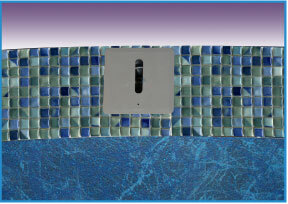 You can add character and style to your pool with coordinated perimeter and inlayed tile. 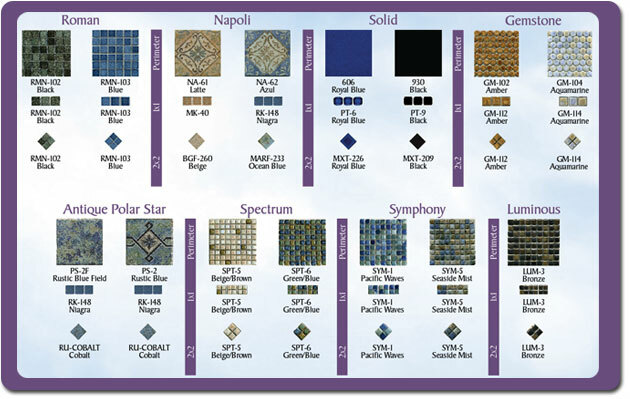 Perimeter tile is installed along the outer perimeter of your pool and is available in a multitude of colors and designs. Artistry has several different standard lines to choose from including Aquatic, Shadow, and Garden - or you can have your own design custom created to further personalize your backyard haven. 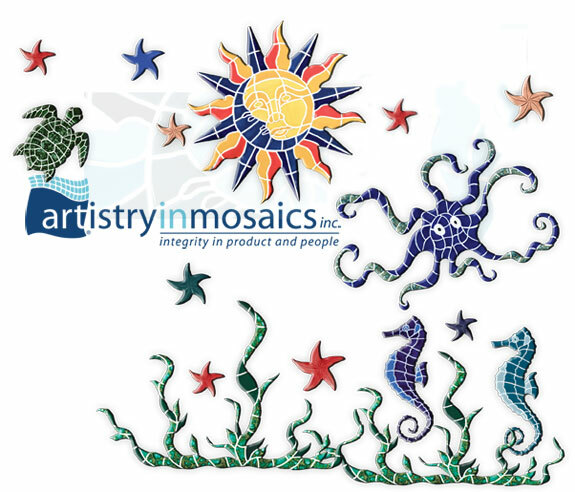 Mosaics can be placed anywhere on your Crystal Palace pool - walls, floor, steps, and benches. The mosaics are actually part of the manufacturing process and lay flush with the pool's surface. 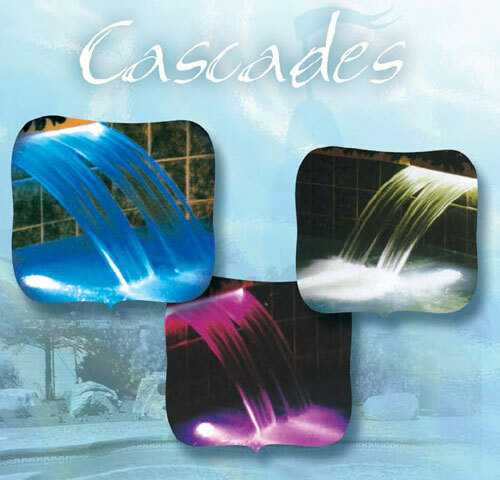 Cascades are built into the perimeter of the pool and come in various sizes. Cascades can be placed virtually anywhere along the pool's perimeter in multiple quantities to create the perfect waterscapes. that can be added to your pool or spa. Listen to the tranquil sounds of running water with Composite Streams, which are installed along the tile line of your pool. Our streams are adjustable so you can change their directional flow for the perfect appearance. Choose from our four face plates in black, white, grey, or beige. Everyone wants a clean, temperature consistant pool without a lot of hassel or cost. Now it's easy to do with the MagnaSweep systems from A&A Manufacturing. 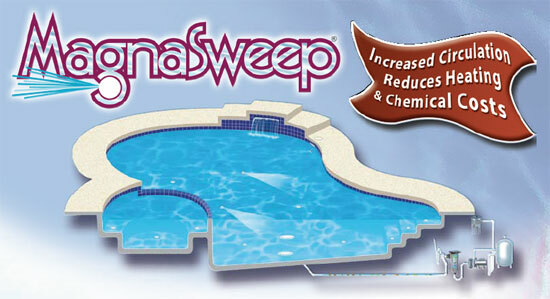 The MagnaSweep systems are unlike conventional cleaning systems. Pop-up nozzles on the pool's floor rise up to emit a powerful stream of pressurized water, circulating treated, filtered water through every layer of your pool. This "bottom-to-top" circulation eliminates the areas below the surface where bacteria and algae grow; reducing the amount of chemicals needed resulting in dramatic savings on chemical costs. The cleaning heads are designed to complement your pool's surface color and are installed during the manufacturing process.